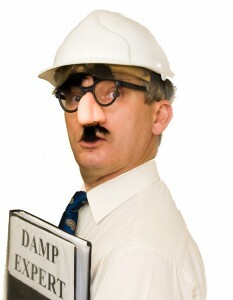 You are here: Home / Damp / Green Damp-proofing system seen stopping damp rising up through windows…. 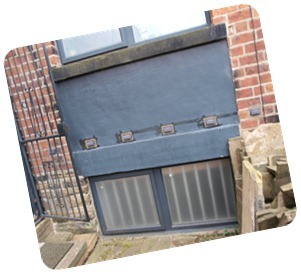 Green Damp-proofing system seen stopping damp rising up through windows…. Dry Rot is ill, this is Doctor Hindlefokker, sitting in for him. The well documented problem of damp, rising up through vindows and frames, then up through zee lintls and such is a thing of the past. As can be seen in the image below, damp can be removed from zee vall over zee lintel – hey presto. 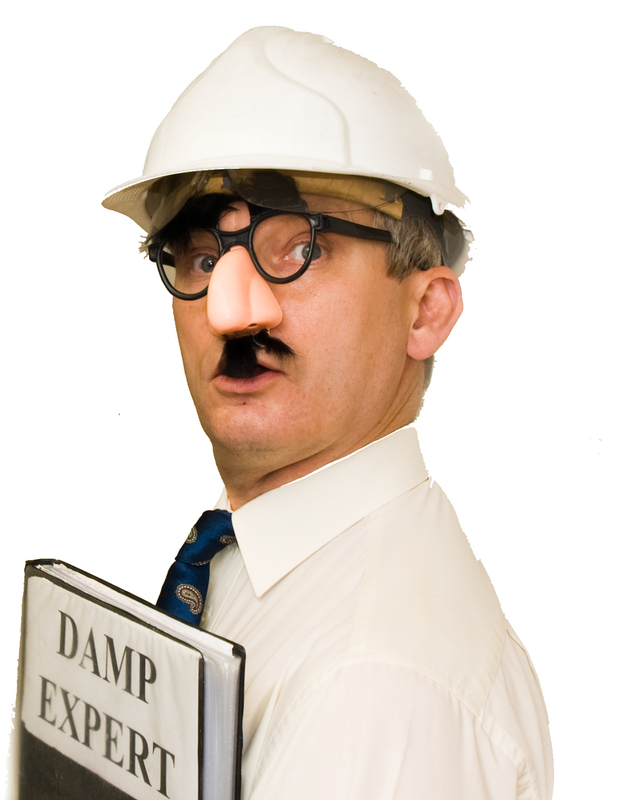 It is guaranteed that there is no rising damp passing up through zee window, zee lintel and zee wall. Notice too that there is no condensation inside zee vindows…and take my verd for it; no penetrating damp in zee cellar either. Pop round to your local Amsterdam coffee shop to a chat about more far out ideas like this one.